The latest product from the pioneer in winter tyre technology, the Nokian WR D4, is a versatile chameleon for the winter roads. It is a grip champion whose unique innovations allow for safe and balanced driving on wet and snowy roads alike. This supreme ruler of every type of winter weather is the world's first premium winter tyre for passenger cars that offers wet grip in the EU tyre label's best A class. Focused innovations from the developer of the winter tyre: The Nokian Block Optimized Siping and the Nokian Twin Trac Silica offer controlled handling and firm grip for extreme conditions. The extensive size selection of the Nokian WR D4 covers sizes from 14 to 20 inches, with speed ratings from Q (160 km/h) to W (270 km/h). The versatile selection offers exact sizes for sporty rides as well as modern electric vehicles. The special products in the selection employ Flat Run technology, and many products are marked XL for the highest possible load capacity in a passenger car tyre. The comprehensive range of winter champions especially designed for Central Europe will be totally available to consumers in the autumn of 2015. Nowadays, winter weather in Central Europe tends to vary between blizzards, driving rain and dry periods. The Nokian WR D4 is created for varying weather, and it represents the finest in Nokian Tyres' tailoring expertise: it is an eco-friendly quality tyre that masters the changing conditions. This uncompromising winter tyre represents the new generation that follows the Nokian WR D3, the winner of multiple comparison tests in motoring magazines. The precise and safe Nokian WR D4 is a tailor-made product whose structures and rubber compounds were fine-tuned in the laboratories and authentic tests of the world's leading manufacturer of winter tyres. The unique slushplaning test method available on Nokia test track allowed to optimise the slush properties of the tyre. The extensive research was supplemented by relentless testing in the arctic conditions of Nokian Tyres' own Testing Center in Ivalo, Lapland. In addition to the kingdom of ice and snow, the new product's vastly improved wet and dry road characteristics were also fine-tuned on several Central European test tracks. Nokian Tyres and thousands of kilometres of winter testing all tell the same story: a directional tread pattern is the ideal choice for varying winter conditions. A high-quality winter tyre can sense and master all the elements of winter. The excellent grip and handling properties of the Nokian WR D4 are the result of the high-technology functional tread pattern combined with an entirely new Nokian Twin Trac Silica rubber compound and the Nokian Block Optimized Siping. Each tread block and sipe has a specific role. We can now offer drivers the ultimate safety accessory that works reliably and predictably on wet roads, snow and ice alike, says Product Development Manager Olli Seppälä from Nokian Tyres. The unique nature of the high-performance Nokian WR D4 is also indicated by the EU tyre label, which is designed to make comparing tyres easier for consumers. For the first time, a real winter tyre can also successfully tackle the challenges of wet roads: slush and water. In a few sizes, the Nokian WR D4 can reach the top of the EU tyre label: class A. For the driver, this means a difference in braking distance of over 18 metres, or in other words four car lengths (difference between classes A and F). Winter grip in slippery weather and the precise driving feel are maximised by the new tread compound and the Nokian Block Optimized Siping used in the stylish tread pattern. The centre area is dominated by the Steering Precision Rib that can be felt in the excellent steering response on bare roads. The sipes of the massive centre rib do not run across its entire width, which improves precision and promotes controlled handling. The small, heavily siped tread blocks on both sides of the centre rib are siped so that every other sipe is attached on the left and every other on the right. The Snow Performance Blocks that are split into groups of three and improve grip on snow are also supported by raising the bottom of the groove; this improves the rigidity of the computer-optimised tread pattern and results in better handling, Seppälä explains. The Stiff Handling Blocks have heavy sipes to improve traction; they become shallower when moving towards the shoulder from the centre. This design improves grip on snow as well as the driving feel required for cornering and lane changes. An aggressive activator sipe that is used to boost the operation of the shoulder block during acceleration and braking, when grip is needed the most, is located in the middle of the shoulder blocks. According to research, slush is even more dangerous for a driver than ice or aquaplaning. The combination of melting snow, the water cushion at the road surface and potential ice makes the situation difficult even for an expert driver. The new Nokian WR D4 actively fights aquaplaning and slushplaning with the Slush Blower innovation. The polished grooves also facilitate the removal of water and slush. The Deep Snow Booster design ensures grip during heavy cornering and while driving in deep snow. The jagged chamfers on the sides of the shoulder blocks grip the surface in a controlled manner, enabling additional grip. The tread compound of the new product uniquely combines the Nokian Hakkapeliitta rubber compound designed for the demanding and cold Northern winter and a silica-based compound that provides excellent performance in milder weather. The end result is the Nokian Twin Trac Silica rubber compound, which contains natural rubber, silica and canola oil; its unique particle distribution ensures peak performance for snow and wet grip. This state-of-the-art compound innovation also improves driving stability and wear resistance. The large amounts of natural rubber and canola oil in the entirely new rubber compound ensure that the excellent winter grip properties remain the same even as temperatures change and the kilometres add up. The canola oil added to the compound allows the silica and natural rubber to work together, improving the ice grip and tear strength of the tread compound. Tear strength makes the tyre extremely resistant to wear, impacts and punctures. Together with the siping innovations, the winter-tuned rubber compound ensures that the Nokian WR D4 has sufficient grip reserve even under the most demanding winter conditions, that is, when driving on wet ice. Tests indicate that the lateral and longitudinal ice grip of the Nokian WR D4 is supreme. Due to the lightly rolling tread pattern and the higher amount of silica in the compound, the Nokian WR D4 has extremely low rolling resistance, allowing it to achieve lower fuel consumption and emissions than its more traditional competitors. In addition to safety, driving comfort is also an essential part of a positive driving experience. The precisely optimised tread structure allows the Nokian WR D4 to react quickly to steering, while it maintains calm and silent road contact. Nokian Silent Sidewall Technology improves driving comfort. The tailored special rubber compound between the sidewall and tread actively filters the sound and vibration originating from the driving surface, preventing the passage of harmful sound waves through the sidewall into the rim and further into the passenger compartment. This innovation reduces the noise level inside the vehicle. The new and more flexible steel belt structure also improves light rolling and driving comfort. The test-winning Nokian WR SUV 3 for SUVs and the Nokian WR A3 for high-performance vehicles will continue to complement Nokian Tyres' premium winter tyre range that is designed to promote trouble-free winter safety. The new Nokian Weatherproof winter tyre reliably manages all seasons, and it is designed for year-round use. Nokian Block Optimized Siping. More winter grip, better steering feel. Each tread block and sipe in the stylish tread pattern has a precise shape and role, and this can be felt in the excellent grip and handling properties. Steering Precision Rib. Controlled handling. The centre area is dominated by a strong and massive centre rib. The sipes of the sturdy centre rib do not run across its entire width, which improves precision and promotes controlled handling. Snow Performance Blocks. Maximum grip on snow. The small, heavily siped tread blocks on both sides of the centre rib are siped so that every other sipe is attached on the left and every other on the right. The tread blocks are split into groups of three and have Handling Supports on the bottoms of the grooves in order to improve handling. Stiff Handling Blocks. More grip and driving feel. The Stiff Handling Blocks have heavy sipes to improve traction; they become shallower when moving towards the shoulder from the centre. This design improves grip on snow as well as the driving feel. An aggressive activator sipe that is used to boost the operation of the shoulder block during acceleration and braking, when grip is needed the most, is located in the middle of the shoulder blocks. Nokian Twin Trac Silica rubber compound. Precise grip, excellent wear resistance, low fuel consumption. The unique particle distribution of the Nokian Twin Trac Silica rubber compound, which contains natural rubber, silica and canola oil, ensures peak performance for snow and wet grip. This state-of-the-art compound innovation also improves driving stability and wear resistance. The large amounts of natural rubber and canola oil ensure that the excellent winter grip properties remain the same even as temperatures change and the kilometres add up. Extremely low rolling resistance results in low fuel consumption. Handling Supports. Balanced handling. The small interim tread blocks that improve snow grip are supported by raising the bottoms of the grooves. Deep Snow Booster. Grip for extreme conditions. The jagged chamfers on the sides of the shoulder blocks grip the surface in a controlled manner, enabling additional grip while cornering and driving in deep snow. Slush Blower. Effectively prevents aquaplaning and slushplaning. The slanted grading on the back edge of the tread block shoots the water and slush out of the grooves. Silent Sidewall Technology. More driving comfort. The tailored special rubber compound between the sidewall and tread actively filters the sound and vibration originating from the driving surface, preventing the passage of harmful sound waves through the sidewall into the passenger compartment. Polished Grooves. Safety on wet roads. Polished grooves facilitate the removal of snow and slush. New Nokian WR D4 is a grip champion whose unique innovations allow for safe and balanced driving on wet and snowy roads alike. Nokian Block Optimized Siping. Each tread block and sipe in the stylish tread pattern has a precise shape and role, and this can be felt in the excellent grip and handling properties. Snow Performance Blocks. Maximum grip on snow. The small, heavily siped tread blocks on both sides of the centre rib are siped so that every other sipe is attached on the left and every other on the right. The tread blocks are split into groups of three. The custom-designed special rubber compound between the sidewall and the tread filters away the noise and vibrations that are transmitted from the road surface to the vehicle interior through the sidewall. Nokian winter safety indicators with snowflake improve security and driving comfort. The winter safety indicator with snowflake in the Nokian WR D4 winter tyre enhances winter safety. It indicates the tread depth in millimetres with numbers from 8 to 4. 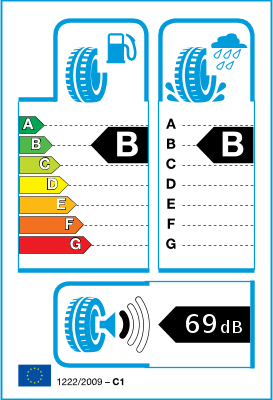 The numbers disappear one after the other when the tyre is worn and its tread depth decreases. The snowflake remains visible down to 4 millimetres. 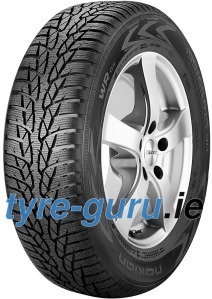 If it is no longer visible, the winter tyres should be replaced in order to ensure sufficient safety. The grooves must be at least 4 millimetres deep to provide enough grip on the snow and to prevent aquaplaning and slush aquaplaning. Nokian Tyres developed and patented the winter safety indicator. No other tyre manufacturer has this innovative feature. Çünkü omuz bloklarında yırtılmalar oldu ve çabuk aşındı.